Brewing over 30 styles annually, the Anacortes Brewery was established in 1994 and is the 10th oldest brewery in the state. 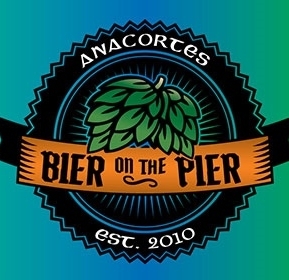 Anacortes Brewery focuses on high quality ingredients, a carefully controlled process and delicate handling to provide one of the best beers you will find in the industry. Anacortes Brewery operates a seven barrel brewery designed and installed by Sound Brewing Systems of Seattle with vessels fabricated by Ripley Stainless in British Columbia and features a cold room specially designed for lagering to provide our beers with a traditional character and complexity. The roots of Anacortes Brewery come from Bavaria. “My uncle was a brew master in Bavaria. When we would visit, he would take me into the underground lagering cellars, put a big coat on me, and I would follow him around from one giant open fermenter to another while he pulled up thermometers and wrote on clipboards. It was fascinating to me, and I always had a very positive association with smell of fermentation. Later when I neared the end of high school, my mother asked me what I planned to do with my life. I told her that I wanted to work in a brewery,” says co-owner Rick Star. Going from a home brewer in 1987 to a pro in 2000, Rick joined with business partner Allen Rhoades by purchasing pro brewing equipment. 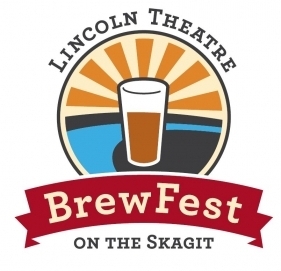 Anacortes Brewery is now producing 1,100 barrels of beer annually and 30 different beer styles. Annie’s Amber is proudly named for the namesake of Anacortes, Anne Curtis. This crisp northwest-style Amber Ale features good hop flavor and aroma with slight fruitiness from ale fermentation. Dark and malty with good hop character from German noble vartieties, this bold, big bodied double strong bock is truly a meal in a glass! This strong Scottish ale has robust malty flavors with subtle smokiness and a balanced bitterness from Perle, Cascade and Mt Hood hops. Broadsword is made with Black Patent, Caramel, Chocolate, Munich and Peat smoked malts for a dark color and rich flavor. Available at the Rockfish every Friday at 3:00 PM. Brewed with local honey, this smooth cream ale is lagered for crispness and features subtle hop aroma and balanced bitterness from Mt. Hood hops. Bohemian style lager with light golden color from pale & Munich malts, distinct hop character from Saaz hops and lagered for several weeks providing smoothness and subtle malt flavor. Dark roasted grains produce a darker color than our original IPA. This local favorite is bittered with Galena & Columbus and dry-hopped with Columbus. Modeled after a classic British mild ale, this popular Red Ale is lightly hopped for easy drinking. Raise a pint in remembrance! Named for the most visited state park in Washington State. This staple beer is brewed with Munich and premium 2-row malts for a dark straw color. Columbus, Galena & Cascade provide balanced hop character. Traditional Belgian-style Dubbel is malt forward and brewed with chocolate wheat & local honey. Great aroma from the use of imported Maris Otter malt with a warm copper color from the addition of 80L Crystal malt. Bittered with Simcoe and dry hopped with Simcoe and Willamete varieties. This classic stout is named for the highest point on Fidalgo Island, Mount Erie. Rolled oats in the mash produce full flavor and mouth feel while Columbus, Perle & Cascade provide a delicate balance. The lightest beer in our catalog is named for our destination island. Straw-colored and lightly hopped, this session beer is designed for light beer drinkers. This highly anticipated seasonal features major flavor and aroma from copious amounts of fresh leaf hop delivered directly from eastern Washington. Munich and light colored malts make for a dark straw color. A tribute to the spur of the North Cascades Highway that runs through Anacortes. “Helles” is German for something light, bright or blonde. Our Helles Lager is brewed in the traditional style, light bodied and delicately hopped with German noble varieties. Our award winning India Pale Ale emphasizes Northwest hop varieties and features significant hop flavor, bitterness and aroma from Columbus, Cascade and Simcoe. Originally brewed at the Anacortes Brewery under the guidance of the visiting Brewmaster of Kalt Loch Brewery in Bavaria, this beer is modeled after a dark lager brewed by Kalt Loch for the Engelberg monastery. Our version uses Perle hops and a portion of apple wood smoked malt. Generous amounts of roasted barley, black & chocolate malts provide intense flavor, color & aroma. This prominent beer is dark, robust & full of gusto! Named in honor of Mariners announcer Dave Niehaus’ classic exclamation. This golden seasonal version of the classic bock style is malty with a delicate hop character from Perle & noble varieties. A rich, dark ale named for the northeastern peninsula of our island, this beer features complex flavor from 4 malts and Perle & Cascade hops. Chocolate malt dominates taste and color in this otherwise balanced brew. As the first beer in our historical reference series, batch #1516 commemorates Reinheitsgebot, the German purity law of that year. Brewed in a true German tradition, this Märzen is an elegant, malty lager with a clean, rich, toasty malt flavor, restrained bitterness, and a dry finish that encourages another drink. 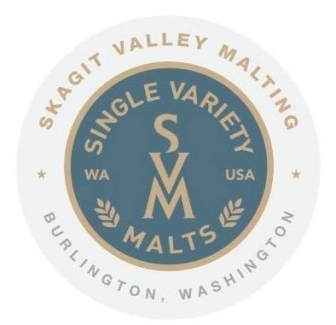 ~The official beer of the Skagit Valley Tulip Festival~ Modeled after a classic English Brown, this easy-drinking seasonal has a good malt profile with low bitterness and moderate alcohol content. Malty and full bodied, this savory beer celebrates the traditional Bavarian festival. Delicately hopped and lagered for 6 weeks in our authentic cold storage cellar. Our strongest ale ages well with dramatic flavor evolution. Copious amounts of 3 different barleys provide significant malt character while Columbus & Cascade hops gently balance this unique beer. Fresh green, red & white peppercorn provide complex flavors in this light, Belgian-styled ale. A copper colored IPA with a tropical fruit aroma, moderate malt character and balanced bitterness. Dry-hopped with Equinox and Bitter Gold hops. Smooth, malty amber lager with a delicate hop aroma and balanced bitterness from Perle and Mt Hood varieties. The Wee Heavy is a strong version of a traditional Scotch ale hopped for balance with a malty, toffee character similar to Belhaven, McEwans or Traquair Jacobite Ale. Our award-winning Hefeweizen is relatively dry with traditional Bavarian flavor and aroma. It’s mildly hopped with Perle & Mt. Hood varieties. Single-hopped session IPA brewed with Citra hops & rye malt for a crisp, dry and citrus finish. This celebrated beer is a summertime favorite!